Glenn R. Bell, P.E., S.E., F.SEI, F.ASCE, has been with Simpson Gumpertz & Heger (SGH) since 1975, starting as a design structural engineer and assuming his current role as CEO in 1995. Under Bell’s guidance as CEO, SGH has grown from 140 to over 460 employees and from 2 to 5 offices. It is frequently recognized as one of the best structural engineering firms to work for in the U.S. As a structural engineer, Bell has had responsibility for major design works, such as SpaceShip Earth, the geodesic sphere at Walt Disney World Epcot Center, and the Aga Khan Medical Complex in Karachi, Pakistan. He has also led major structural failure investigations, including that of the walkways collapse at the Kansas City Hyatt Regency, and served as an advisor to the SGH team that investigated the 9/11 World Trade Center 1 & 2 tower collapses for the National Institute of Standards and Technology. Bell has been very active in professional activities, twice presenting invited keynote addresses at ASCE’s Structures Congress and having chaired ASCE’s National Conference in Las Vegas. In addition to co-chairing ASCE’s Structures Congress 2014, in Boston, he helped to found the ASCE Technical Council on Forensic Engineering, and has been active in seismic code development, masonry design standards, and various other aspects of professional practice. Bell has published over 40 papers or book chapters, won numerous awards for his contributions and is a frequent guest lecturer. Jay H. Higgins, P.E., F.ASCE, is a semiretired consultant with over 40 years’ experience in the design of infrastructure projects and construction management on large construction projects. A registered professional engineer in Illinois and a professional civil engineer in California, Higgins earned his bachelor’s degree in civil engineering from Northeastern University, his master’s degree in environmental engineering from Northwestern University, and his master’s in business administration from the University of Chicago. Over the course of his career, he worked for Harza Engineering as a project manager, was the manager of contract administration at Chicago’s O’Hare Airport Development Program, was a vice president/program director with Consoer Townsend and Associates’ water and wastewater group, and, most recently, retired as a senior project manager from URS Corporation after 22 years of service. Higgins’ area of expertise is construction dispute resolution and construction claims analysis. He has worked to investigate and resolve disputes on numerous public and private construction projects, including resolving several disputes over extra work costs and time extensions for a large state water agency. A member of ASCE throughout his entire professional career, Higgins currently serves as vice-chair of the Region 9 board of governors. In addition, he is also a past-president of the Metropolitan Los Angeles Branch, past-president of the Los Angeles Section, and a member of ASCE’s Member Communities Committee. Among the numerous ASCE awards he has received include, the 2009 Outstanding Section Officer–Region 9, the 2008 and 2013 President’s Award–Los Angeles Section; the 2012 Carl Blum Award, the Younger Member Forum–Los Angeles Section award, the 2014 Robert W. Bein Lifetime Achievement Award, and Life Member Forum–Los Angeles Section award. James H. Lambert, Ph.D., P.E., D.WRE, F.ASCE, is a research professor in the Department of Systems and Information Engineering, and associate director of the Center for Risk Management of Engineering Systems at the University of Virginia, where he has served on the faculty of the School of Engineering and Applied Science since 1996. Lambert’s research interests include risk management and systems engineering, with application to transportation, energy, developing world, information systems, and the environment. He led sponsored projects with the U.S. Army Corps of Engineers, the Federal Highway Administration, the Federal Aviation Administration, the Virginia Department of Transportation, and others. 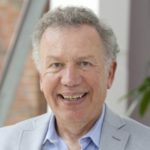 He served on the editorial board and as contributing author of ASCE’s Journal of Infrastructure Systems and is an author of papers in other ASCE journals, including the Journal of Transportation Engineering, Journal of Management in Engineering, and Journal of Water Resources Planning and Management. He is a founding editor-in-chief of the Springer Journal Environment Systems & Decisions and is the engineering area editor for the Wiley Journal Risk Analysis. In addition, Lambert is the past associate editor of the Institute of Electrical and Electronics Engineers’ (IEEE) Transactions on Reliability and a past associate editor of the IEEE’s Transactions on Systems, Man, and Cybernetics, Part A. Between 2012-2015, he was a American Association of State Highway and Transportation Officials delegate to the World Roads Association (PIARC), co-chairing an international technical committee on risk management methods of highway agencies. A graduate with a bachelor’s degree from Princeton University, and a master’s and Ph.D. from the University of Virginia, Lambert has served on panels of the National Research Council, Transportation Research Board, National Science Foundation, and National Institute of Medicine. José Holguín-Veras, Ph.D., P.E., F.ASCE, is the William H. Hart Professor and director of both the Volvo Research and Educational Foundations Center of Excellence for Sustainable Urban Freight Systems and the Center for Infrastructure, Transportation, and the Environment at Rensselaer Polytechnic Institute. He is the recipient of numerous awards, including the 2013 White House’s Transportation Champion of Change Award, the 1996 Milton Pikarsky Memorial Award, and the 2001 National Science Foundation’s CAREER Award. His research interests are in the areas of freight transportation modeling and economics, and humanitarian logistics. Holguín-Veras’s work has opened the door to new paradigms of freight systems that increase not only economic efficiency but environmental justice. His research has led to major changes in transportation policy and substantial improvements in the ability to improve urban freight systems. His work on humanitarian logistics has played an influential role in disaster response procedures, and has led to deeper insight into how best to respond to large disasters and catastrophic events. President of the Scientific Committee of the Pan-American Conferences of Traffic and Transportation Engineering, Holguín-Veras is a member of the Scientific Committee of the World Conference of Transport Research and numerous technical committees and editorial boards of leading journals. Holguín-Veras earned his bachelor’s degree from the Universidad Autónoma de Santo Domingo in 1982, his master’s degree from the Universidad Central de Venezuela in 1984, and his Ph.D. from the University of Texas at Austin in 1996. Mark W. Killgore, P.E., D.WRE, F.EWRI, F.ASCE, currently ASCE’s director for the Raise the Bar initiative, has spent most of his career in the hydroelectric and water resources area as both a consultant and owner. Prior to joining ASCE staff in 2011, he was manager of water resources for Puget Sound Energy in Washington State. As a water resources consultant he worked on major hydroelectric projects, including Hells Canyon, Platte River, and the Oroville Facilities of the California State Water Project. Since joining ASCE as a student member in 1976, he has served on numerous ASCE and EWRI committees. President of ASCE’s Seattle Section ASCE in 1993, Killgore has served on the EWRI Governing Board from 2007 to 2010 and has co-authored the ASCE publication NAFTA Handbook for Water Resources Managers and Engineers, and contributed to the development of ASCE border-water quality standards. A 1978 graduate of Seattle University with bachelor’s degrees in both civil engineering and Spanish, he earned his master’s in civil engineering with a focus on water resources and the environment from the University of Washington in 1984. An active volunteer with the Boy Scouts of America and the Rotary Project Amigo, in Mexico, Killgore has received several awards and honors throughout his career, among them Eagle Scout, Tau Beta Pi National Engineering Honor Society, Outstanding ASCE Zone IV Younger Member, the 2005 Louis Berger Group Technical Excellence Award, Diplomate, American Academy of Water Resources Engineers in 2006, and the 2008 EWRI Water Resources Planning and Management Service-to-the Profession Award. In addition to ASCE, Killgore is also a member of the National Society of Professional Engineers and the American Society for Engineering Education and serves on the board of directors for the Hydro Research Foundation, which supports graduate research in hydroelectric engineering. Direk Lavansiri, Ph.D., P.E., F.ASCE, is professor emeritus and chairman of the Energy Regulatory Commission of Thailand, whose major achievements are laying the foundation of energy regulatory guidelines and institutional capacity building for effective, transparent, and fair energy-industry regulation in Thailand. Lavansiri, who received his bachelor’s degree in civil engineering from Chulalongkorn University (CU), his master’s degree in civil engineering from the University of Washington, and his Ph.D. in civil engineering from Oregon State University, started teaching at the CU Department of Civil Engineering in 1977. He served dean of the faculty of engineering at CU from 2004 to 2008, before being graciously appointed by His Majesty the King of Thailand as chairman of the Energy Regulatory Commission of Thailand on February 1, 2008. Lavansiri has been a board member on many Thailand enterprises/utilities, including the Mass Rapid Transit Authority and the Transport Company. He was also a board member of various international affiliations, including the International Federation of Engineering Education Societies; as well on the organizing committee for the International Conference on Road and Airfield Pavement Technology, and the steering committee of AUN/SEED-NET (ASEAN University Network/Southeast Asia Engineering Education Development Network). As a member of ASCE, he has participated in the election of officers within ASCE’s Thailand International Section and at their annual general meetings. As a member of the Council of Engineers of Thailand, he currently serves on its Etiquette and Educational Standards Sub-Committees. An ASCE member since 1958, Bart T. Lynam, P.E., C.Eng., F.ASCE, has contributed to the civil engineering profession with a broad spectrum of engineering innovations during his career. His passion for recycling wastes began with his master’s thesis, which centered on a closed ecological system for space travel. A board-certified member of the American Academy of Environmental Engineers and Scientists and a past member of board of directors of the Chicago Engineering and Science Center, Lynam received his master’s degree in environmental engineering from the Illinois Institute of Technology (IIT) in 1960, where he later was a member of the engineering faculty and credits them for stressing the fundamentals of engineering. For 19 years Lynam was employed by the Water Reclamation District of Greater Chicago, progressing in various positions, starting with junior civil engineer and promoted to the top position of general superintendent of the agency. While at the District, he was extensively published, with over 50 technical papers which he delivered internationally. He was appointed to the Technical Advisory Group for Municipal Wastewater Systems, Office of Water and Hazardous Materials, with the U.S. Environmental Protection Agency. During the period from 1970 to 1977, Lynam held various posts within the Water Pollution Control Federation, having served as a board member and past president of what is now known as the National Association of Clean Water Agencies (NACWA) and inducted into their Hall of Fame in 2010 in San Francisco. Among his honors and awards include the Water Environment Federation’s George Bradley Gascoigne Medal and the Water Environment Federation’s Philip F. Morgan Medal. Having lived in Seattle, Washington since 1978, Lynam has served as vice president of Paschen Contractors–Northwest Office. In this capacity, he managed the bidding and construction of the westbound 3rd Lake Washington Floating Bridge on I-90, the lid over the I-90 Interstate on Mercer Island, and the Washington State Convention and Trade Center. Presently, he is involved with projects that promote energy from wastes which are environmentally benign and sustainable. Lynam holds several patents that relate to his quest for the beneficial reuse of biosolids and municipal wastes. 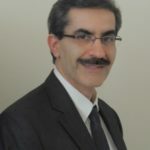 With more than 25 years’ experience as a senior staff engineer, senior project manager, and consultant and advisor for public utilities and governmental and nongovernmental organizations, Azad Mohammadi’s Ph.D., P.E., PMP, D.WRE, PH, F.ASCE, professional career covers an amalgam of skill sets within engineering and management that are focused on the interface of civil engineering best practices and public policy. His engineering responsibilities at the senior and executive levels have contributed to the successful development and implementation of water resources capital investment programs in the United States and the Middle East. His decade of experience with development plans and programs funded by the U.S. Department of Defense, Agency for International Development, and World Bank in post conflict environments in Iraq and Afghanistan has successfully contributed to the strengthening and development of water resource institutional frameworks, policies, and human resources capacity in the planning for and implementation of national water resources infrastructure investment plans. 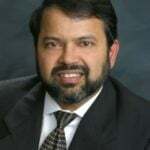 A graduate of Oregon State University with a master’s degree in civil engineering and a doctoral degree in civil engineering from Colorado State University, Mohammadi is a lifelong academic with experience teaching theory and practice of civil and water resources engineering. He is a frequent contributor to and speaker at ASCE conferences, and has authored numerous professional articles. He is a registered professional engineer in Oregon, Washington, and Alaska, a certified project management professional, a Diplomate in the American Academy of Water Resources Engineers, and a professional hydrologist by authority of the American Institute of Hydrology. John J. Segna, P.E., BCEE, F.ASCE, currently the director of ASCE’s Civil Engineering Certification (CEC), Inc. program as well as director of ASCE’s Technical Activities Department, is a leader in engineering certification programs and has also had extensive experience in hazardous waste management. As director of Specialty Certification, he is responsible for expanding the American Academy of Water Resources Engineers from 100 Diplomates to 650. In addition, he helped create 2 new certification programs, the Academy of Geo-Professional, and the Academy of Coast, Ocean, Ports, and Navigation Engineering. As a result of Segna’s efforts, ASCE’s 3 academies currently have over 1,000 Diplomates and are growing. Segna earned his bachelor’s degree from Manhattan College in 1975 and his master’s degree in engineering from Manhattan College in 1977. While working as a professional engineer, he also earned a master’s in business administration from George Washington University in 1984. In addition, Segna has also earned numerous professional certifications, such as board certified environmental engineer, qualified environmental professional, and certified hazardous material manager. Earlier in his career, Segna was a program manager with several private environmental consulting firms managing and specializing in large projects involving hazardous waste management and remediation. In addition, he worked at the US Environmental Protection Agency in Washington, D.C., performing water-quality modeling, hazardous waste management, risk assessment, and site remediation. Prior to that, Segna worked as a research engineer at Manhattan College, developing mathematical models for water-quality issues associated with the U.S. Great Lakes program. Active with ABET (Accreditation Board for Engineering and Technology), Segna has served as a commissioner for 16 years under 2 different ABET Commissions. He is a past chair of the Applied Science Commission, and served as a team chair or Program Evaluator (PEV) on over 35 ABET visits to civil and environmental engineering, civil and environmental engineering technology, and applied science programs across the USA and overseas. Also, Segna has been active in ABET training program for new PEVs for the past 5 years, serving of the ABET committee that prepared the PEV training program; he currently serves as a facilitator for ABET for new PEVs training each spring. Eric M. Teitelman, P.E., F.ASCE, a civil engineer and adjunct professor, with over 23 years of experience in executive public works management and civil engineering, providing visionary leadership and specializing in progressive areas of transportation, including multimodal design, transit-oriented development, integration of land-use and transportation planning, neotraditional street design, sustainable growth, and urban redevelopment. Currently chief for capital projects and traffic engineering at the Fairfax County Department of Transportation, Teitelman oversees an urban population of over 1 million and leads a group of 30 transportation professionals who are responsible for capital project development and execution, multimodal transportation programs, including bicycle and pedestrian enhancement, parking management, and traffic engineering. In addition, Teitelman also serves as an adjunct professor at George Mason University, teaching undergraduate and graduate courses on project design and infrastructure management. Teitelman who holds a degree in civil engineering, graduate courses in urban and transportation planning, and a graduate certificate in public management, brings a progressive viewpoint and businesslike model to municipal government. He also has extensive experience in areas of public works policy, advancing new alternatives and paradigm changes for municipal governments, and helping to establish sustainable policies and standards that will accommodate future growth in a rapidly changing global environment. His passion is to build communities by implementing the best available strategies and technologies, including principles of smart growth and sustainable development. Robert Traver, Ph.D, P.E, D.WRE, F.ASCE, is a professor in the Department of Civil and Environmental Engineering at Villanova University, and director of both the Villanova Center for the Advancement of Sustainability in Engineering and the Villanova Urban Stormwater Partnership. Throughout his distinguished career, he has conducted research on topics that include modeling of stream hydraulics, urban hydrology, water quality, with his main area being sustainable storm-water management. Among the highlights of his career, Traver initiated the Stormwater Control Measure Demonstration and Research Park on the Villanova Campus. Traver also served on ASCE’s External Review Panel for the U.S. Army Corps of Engineers investigation of Hurricane Katrina, and was a member of the National Academies Committee entitled Reducing Stormwater Discharge Contributions to Water Pollution. Traver received his bachelor’s degree from the Virginia Military Institute, his master’s degree from Villanova, and his Ph.D. from Pennsylvania State University. A veteran of Desert Storm, he is currently the past president of the American Academy of Water Resources Engineers. Robert Victor, P.E., F.ASCE, is the Northern Virginia/Washington, D.C./Maryland transportation business lead for HDR Engineering, Inc. His current focus is operations, business development, and involvement in road/bridge and transit projects. Prior to his time at HDR, Victor lived and worked in Pittsburgh; St. Louis; Seattle; Baltimore; Washington, D.C.; and New Delhi and Mumbai, India, on a variety of transportation and civil engineering projects. Victor recently finished his term on the ASCE board of direction as Region 2 director—elected to represent ASCE members from Pennsylvania, Maryland, Delaware, and the Washington, D.C. area. He is currently the chair of ASCE’s Committee on America’s Infrastructure—which served as the advisory committee that published ASCE’s “2013 Infrastructure Report Card” and the “Failure to Act” economic report series—and the chair of ASCE’s Global Strategy Council Task Committee. Victor has chaired and/or served on numerous other board-level committees and task forces, and has been active in the local ASCE Sections where he has lived. He holds a bachelor’s degree in civil engineering from the University of Michigan and a master’s degree from the University of Illinois. He is a licensed professional engineer in Virginia, the District of Columbia, Maryland, Pennsylvania, Ohio, and Missouri.